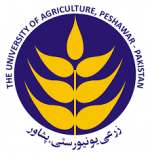 1Department of Management Sciences, Abdul Wali Khan University Mardan, Pakistan; 2Institute of Development Studies, Faculty of Rural Social Science University of Agriculture, Peshawar, Khyber Pakhtunkhwa, Pakistan. Abstract | This study was conducted in 2016 to investigate the net returns of the handloom business in district Charsadda of Peshawar Valley. A total of 51 respondents from the three villages namely Utmanzai, Rajjar and Matta-Mughal-Khel were randomly selected. A comparative analysis of chadar and suit cloth was done regarding sale in Charsadda market and other cities of the country. In Charsadda market, 3/4 producing units sold their products, while 1/4 of the producers were involved in marketing of these products to other cities of the country. Profit per month of Chadar and Suit cloth in the local market was found Rs. 7,800/- and Rs 6,552/-, respectively. While selling these products in other cities per month profit was Rs. 13,650/- and Rs. 12,636/-, respectively. The overall profit in the business is low. Profit is higher for those producers who sold their products in other cities. In local market the profit margins of Chadar and Suit was 17% and 14% respectively. The profit margin of Chadar and Suit was 26% and 23% respectively when sold in other cities. The study concluded that due to low profit, handloom business in district Charsadda is on downfall. The study recommends that financial support, marketing management, access to technology, training and international exhibitions can play a pivotal role in making the business more profitable by expanding marketing of their products to other cities and countries. Citation | Rahman, M., M. Khan, H. Khan, M.M. Shafi and H. Ali. 2018. Cost-Benefit analysis of cotton based handloom industry in Peshawar valley. 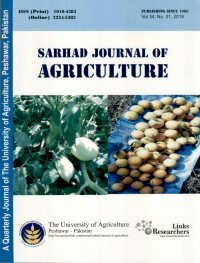 Sarhad Journal of Agriculture, 35(1): 80-86. Handloom industry plays vital role in the development of the economy because it offers great employment generating opportunities and potential to earn foreign exchange. It continues to be a rurally-based household activity that provides livelihoods to a large number of people and has great economic prospective (Ahmad and Hussain, 2013; Islam et al., 2013; Soundarapandian, 2002). Handloom sector has remained not only an important source of livelihoods but has also been the savior of the various traditional skills that have been inherited by the weavers over a number of generations. The exceptional skills for creating the unique fabrics have helped the handloom tradition survive against the modern time automated production systems (Mapder, 2011). The centuries old tradition of weaving skills is one of the richest and most vibrant aspects of the cultural heritage. The exclusive features of Handloom industry are that it is labor intensive, low energy and low capital investment industry. It does not have any adverse effects as it does not pollute the environment. The sector has an edge over the power loom and mill sectors in its ability to commercially produce goods in small volumes, openness to innovations, flexibility to switch to new designs, adaptability to suit supplier’s requirements and creation of wonderful designs (Ahmad and Hussain, 2013). Plenty of research work has been done on different aspects of handloom weaving industries. Ahmad and Hussain (2013) found that handloom industry has significantly increased employment and significantly increased returns during the study period. Soundarapandian (2002) reveals that handloom sector continues to remain a dominant industrial segment inspite of using traditional methods of production. Islam et al. (2013) found that average gross return, average gross margin, average net profit, and per-loom profit of handloom weaving industry are positive. Similarly, Chowdhury (1990), Rahman (1980), Chowdhury (1981), Wasow et al. (1989) concluded that handlooms are economically more efficient method than power looms or large weaving mills. Jaforullah (1999) also reported that the technical efficiency of handloom industry of Bangladesh is only 41% and its technical efficiency might improve by increasing its male and female labor ratio and decreasing its hired/family labor ratio and labor/capital ratio. Handloom locally known as Khaddi is well-known business in district Charsadda. Khaddar is a traditional hand-woven cloth of handlooms in the villages of Mata Mughal Khel, Utmanzai and Rajjar in the district. The historical Khaddar products have been fashionable in local area and demanded in other cities and foreign markets as well, have a propensity of large export potential. (Khattak, 2010). It has been the last reserve for the people of the region and play significant role in the enlistment of the standard of life for the poor in the study area. Khaddi has been observed to be totally a family business and at least all the members are involved in the process of production. The family members have the labor and division of task have been made internally by their mutual understanding (SMEDA, 2009). The Handloom industry in district Charsadda is facing many challenges such as competition from the domestic mill sector, imported products from China, and inflationary pressure etc., that have adversely affected the business. Handloom-weaving activities are decreasing day by day and many weaving units have been closed down. Keeping this in mind the study was initiated with the objectives to compare the cost and net returns of the handloom products in local market with other cities of the country and to suggest policy measures for sustainable growth of this sector. This study was carried out in 2016. Peshawar Valley was taken as the center of the study namely Peshawar, Charsada, Nowshera, Sawabi and Mardan. District Charsada was taken randomly from Peshawar Valley. Because Khaddar making activity has spread throughout in this district. Moreover, Utmanzai, Rajjar and Mata Mugal Khel were selected purposively because these are the major producing units in these selected villages. On the whole, there are 50, 40 and 80 Khaddar producing units in these villages respectively. In the present study only two varieties of the Khaddar products such as “Chadar” and “Suit cloth” were chosen for analysis. For the present study 51 (30%) respondents were selected using proportion allocation method as given below. However, sample respondents in these villages were interviewed randomly (Neuman, 2013). ni = Sample in the ith village; Ni = Total population in the ith village; N = Total population in the sample area; n = Sample size. To assess the profitability of handloom weaving industry, budget of the activity was made and cost-return analysis was performed. For this gross return, gross profit, per-loom profit and profit margin of selected handloom units were calculated. Q = quantity produced; P = Price per unit. Gross profit was obtained as the difference between the total gross return and total variable cost incurred (Adhikari, 2011). GR is gross revenue; TVC is total variable cost = (W × L) + (PR × R). Q= Quantity sold; P=Market Price; W= Wage rate; L= Laborer; PR = Price of raw material; R= Quantity of Raw material used. A.Pa = Average per year profit per handloom; G.Pa = Gross profit of all selected 51 handloom units; n = Sample size (i.e., n = 51). A. Pm = Average per month profit per handloom unit; A.Pa = Average per year profit per handloom. (Hamid and Haq, 2014; Investinganswers, 2014; Wikipedia, 2014). The purpose of this section is to assess costs and returns of making cloth in handloom units. The Khaddar cloth is made from the raw materials that contain cotton, nylon and wool, which are processed into threads on a whirling wheel known as charkha. Khaddar products are beautiful fabrics, cool in the summer and warm in the winter. For a better look, Khaddar products have been often starched into a shape which is chosen for fashion circles. Khaddar products such as Chaddars, Suit cloth, Shawls, Mufflers, Bed-sheet etc. are made by these handlooms (SMEDA, 2009; Fibercopia, 2007). In this study two popular and highly demanded khaddar products i.e., Chadar and Suit cloth were chosen for profitability analysis. These products are mainly used by male population. These products are warm and useful in winter, and have low price and high attraction in the fashion circles. These products are supplied not only to local markets but also to other cities in the province and throughout the country. Special varieties of “Suit cloth” are produced for use in both winter and summer seasons. Whereas khaddar “Chadar” is used in winter season only to protect oneself from cold. As mentioned in Table 1, the length and width of Chadar is 2.5 and 1.39 meters while that of Suit cloth is 7 and 0.92 meter, respectively. Table 1: Length and width of chadar and suit cloth products. For studying profit margins of the selected products, meter as a unit has been taken. Table 2 indicates the total variable cost of the selected products in the local market as well as in other cities. In local market per-meter cost of chadar is Rs. 195 and suit cloth is Rs. 88 respectively. While per-meter cost of producing and marketing Chadar and Suit cloth to other cities is Rs. 200 and Rs. 90 respectively. The Khaddar products have also been supplied to other places in the country such as Peshawar, Islamabad, Lahore, to name a few. A total of 33.33% producers were involved in marketing their products to other cities in the province as well as in other parts of the country. Village-wise distribution of producers who marketed their products to other cities is reflected in Table 3. During the field visit, it was reported that those who are involved in marketing are not paid cash in lump sum for their products, rather the payments are pending for many months. The payments are made in installments after regular visits again and again. The working capital for business is delayed that results a decline in the output. For this reason, majority of the producers who have lack of capital, hesitate to supply their products to other cities inspite of higher profit margins. Table 2: Per meter cost of chadar and suit in local market and in other cities. Table 3: Marketing of khaddar products to local market and other cities. Table 4 indicates per-meter cost, revenue and profit of Chadar and Suit cloth in local market and in other cities. Average per meter profit of Chadar and Suit cloth in local market is Rs. 40/- and Rs. 14/- respectively. Similarly average per meter profit of Chadar and Suit cloth in other cities is Rs. 70/- and Rs. 26/- respectively. Table 4: Per meter net returns of chadar and suit cloth. During field survey it was reported that Chadar and Suit cloth have separate handlooms. The products are produced with great care and expertise manually. On the average each weaver produces 3 Chadars (7.5 meters of chadar cloth) daily. Similarly Suit cloth weaver produces 2.5 Suits (18 meters of suit cloth) daily. The total production and sale of Chadar was 79560 meters and Suit cloth was 190944 meters in local market of 66.67% producing units for the year under-study. As 33.33% of the producers were involved in the marketing of these products to other cities, 39780 meters of Chadar and 95472 meters of Suit cloth were traded to other cities within the country. Table 5 shows the total cost, total revenue and total profit of 51 handloom units for producing, marketing and selling the selected khaddar products. The total profit of 66.67% sampled respondents from the sale of Chadar and Suit cloth in the local market was Rs. 3182400/- and Rs. 2673216/- while total profit of 33.33% respondents who marketed and sold these products in other cities was Rs. 2784600/-.and Rs. 2577744/- from the sale of Chadar and Suit cloth respectively for the year 2016 understudy. Similar results were also revealed by Islam et al. (2013). They found that average gross returns of handloom industry are positive. Similarly, Ahmad and Hussain (2013) also found that handloom industry has significantly increased the returns. In Table 6 profit of the sample respondents in local market and in other cities are compared. Table 6 clearly brings out the average per year and per month profit of each sample handloom producer from selling both products in local market and in other cities. Profit per-month of Chadar and Suit cloth in the local market was Rs. 7800/- and Rs. 6552/- respectively. While selling in other cities per-month profit of Chadar and Suit cloth was Rs. 13650/- and Rs. 12636/- respectively. These results support the findings of Islam et al. (2013). They concluded that that average gross return, average gross margin and average net return of the owners are positive and cloth production under handloom units is profitable. Table 5: Gross and net returns of chadar and suit cloth. Table 6: Per-year and per-month profit of chadar and suit cloth. Table 7: Net returns per rupee of investment of chadar and suit cloth. In Table 7 the profit margin of the selected products is depicted. According to Table 7 the profit margin is higher for those producers who marketed and sold their products in other cities. In local market every single rupee of investment in Chadar earned a profit of rupee 0.17 while Suit cloth earned a profit of rupee 0.14. Selling in other cities has relatively more profit margins i.e., every one rupee of investment in Chadar and Suit cloth earned a profit of rupee 0.26 and 0.23 respectively. These results are in line with the findings of Hamid and Haq (2014). They reported that net returns per rupee of investment of handicraft shawl industry are on the average fetches a profit of one and a half rupee. They concluded that handicraft sector is not only employment oriented but also highly profitable and recommended that this sector should flourish. The market price of the Khaddar products is comparatively higher in other cities and the producers get more returns. It can be concluded that marketing Khaddar products to other cities increases the profit margins of producers. It is important to mention that most of the marketing is done by middlemen and maximum benefit goes to their hands as such little profit is left to the original producers. The main reasons that most of the weavers could not market their Khaddar products elsewhere include the lack of finance and absence of proper set up. The present study analyzed the profit of handloom weaving industry in district Charsadda in 2016. A comparative analysis of Chadar and Suit cloth was done regarding sale in local market and other cities of the country. It was found that average net profit and per-loom profit of handloom weaving industry are positive. The overall profit in the business is low. The average profit has gradually increased from marketing and sale of the products in other cities of the country. Profit margin of the respondents was found very low which hardly meets the daily expenses of the producers. Consequently, the weavers do not have enough financial capital for the expansion of their small weaving units. Moreover, the production cost is high because of the absence of economies of scale and high prices of the raw materials. Due to low profit margins and financial constraints, the Khaddar business in Charsadda was found on a down fall and many traditional handloom units have been closed down. This has resulted in the erosion of rural livelihood in weaving, as well as displacement of the labor force. 1. Commercial banks, financial institutions like Small and Medium Enterprises, Micro Finance Bank and Khushali Bank should take steps for provision of financial support to the small Khaddar making handloom owners. 2. As profit margin in marketing of Khaddar products are relatively higher elsewhere than the local markets, the Government could promote and facilitate marketing of handloom products to maximize benefits to the stakeholders. 3. New markets for Khaddar products and representation of the Khaddar products in international events through print and electronic media. 4. Moreover, raw material should be provided on subsidized rates so that the profit margin of original Khaddar producers can be increased. Mujib ur Rahman: Wrote results and discussion. Munir Khan: Technical writing and data analysis. Himayatullah Khan: Supervised the researcha nd did econometric analysis. Malik Muhammad Shafi: Helped in methodology and designing the interview schedule. Haidar Ali: Collected and interpereted the data, arranged tables. Adhikari, R.K., 2011. Economics of organic rice production. J. Agric. Environ. 12(1): 097-103. Ahmad, F.H., A. Hussain, 2013. An analysis of handloom sector of Jammu and Kashmir: A case study of district Budgam. IJMBS, 3(1): Pp.106-109. Chowdhury, N. 1981. 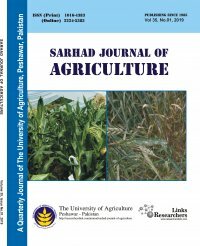 Relative efficiency of alternative techniques in the cotton weaving industry of Bangladesh: A case study. Bangladesh Dev. Stud. 9(3): 45-66. Chowdhury, N. 1990. Static and dynamic cost-benefit analysis of handloom, power loom and mill weaving in Bangladesh. Chapter V. Vol. I, BHSS Report. Fibercopia. 2007. The khaddi and village base business. World Press. 2007-10-04/khadi. Hamid, S. and I.U. Haq. 2014. Cost and return analysis qf shawl industry in handicraft sector in J and K State, India. Sai. Om J. Arts Edu. 1 (1): 17-22. http://www.investinganswers.com/financial-dictionary/ratio-analysis/gross-profit-margin-2076. Retrieved on April 30, 2014.
http://en.wikipedia.org/wiki/Profit_margin Retrieved on April 30, 2014. Islam, K, M.H. Elias and C.G. Bikash. 2013. Cost-benefit analysis of handloom weaving industry in kumarkhali upazila of Kushtia District, Bangladesh. Rabindra J. 9(1): 63-72 ISSN 2072-3334 Dev. Compilation. Khattak. 2010. SMEDA: Working for khaddar revival (Khyber PukhtunKhwa). Mapder, S. 2011. A Study on the handloom textiles clusters in India with special reference to select clusters in west Bengal. Dep. Bus. Ind. Manag. Veer Narmad South Gujarat Univ. Surat June – 2011. Neuman, W.l. 2013. Social research methods. Qual. Quant. Appr. Seventh Edition. Rahman, A. 1980. A study on the relative efficiency of handlooms and small powerlooms versus large mills (mimo.). Dhaka, BIDS, December. SMEDA. 2009. District Profile Charsadda. SMEDA-February 2009. Soundarapandian, M. 2002. Growth and prospects of handloom sector in India. Nat. Bank Agric. Rural Dev. Occas. Paper – 22. Wasow, B., A. Farouque and M.O. Gani. 1989. The effects of policy on the choice of technique in textile weaving. TIP Reform programme, Gov. Bangladesh.